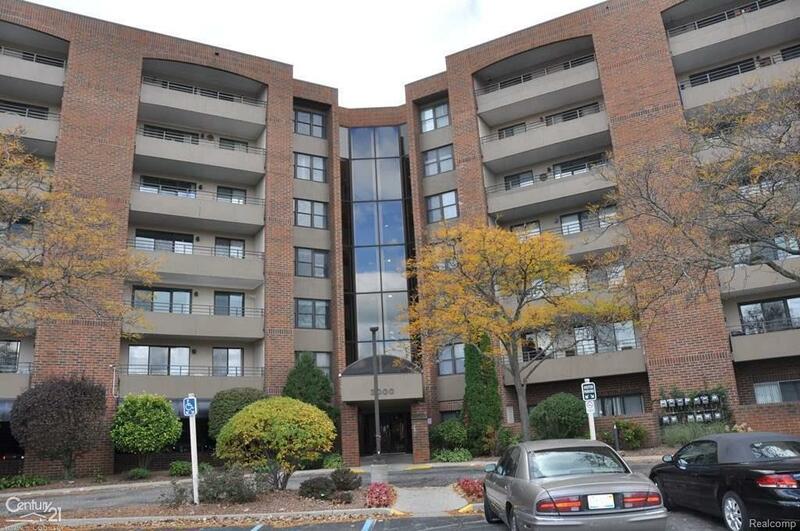 Beautiful high rise condo w/balcony facing west over SCS municipal golf course. Many upgrades in common areas, carpet, lobby & grounds. Water included in association fee. Secured entry from all doors & covered garage. Exercise room, outdoor pool, tennis courts, walking track on 2nd floor. Library & activity rm on 3rd floor. Large master bedroom w/WIC & full bath. 2nd full bath off main room. Island/breakfast bar in kitchen, appliances included. In unit laundry includes washer & dryer. Furnace & a/c 2011. Storage room on 7th floor.